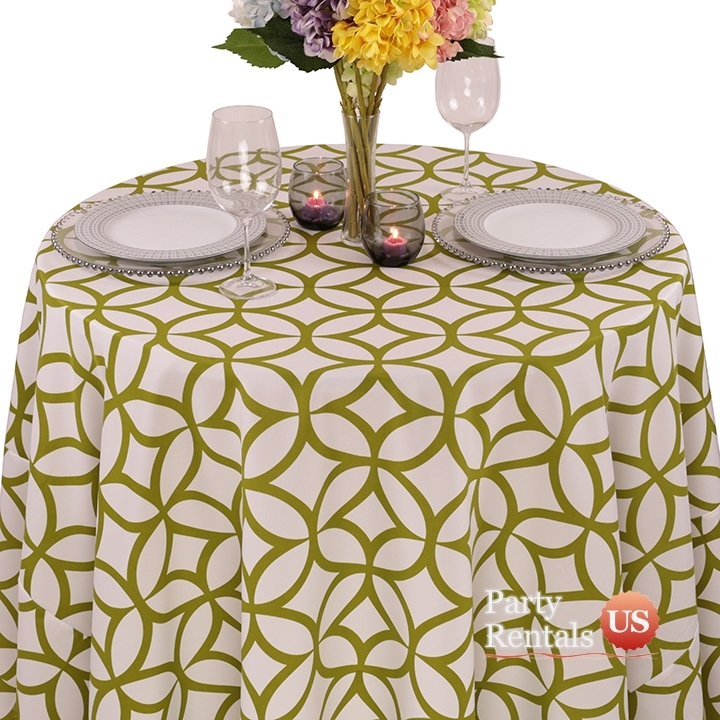 When you want to go back in time but with a modern twist, our "Geometric Prints Retro Cirque Tablecloth" is ideal. The pattern displays interlocking circles that form a unique design. If you are hosting a cocktail party, business meeting, or Sunday brunch, this is a solid choice. The spun polyester fabric feels like cotton but will resist wrinkles.